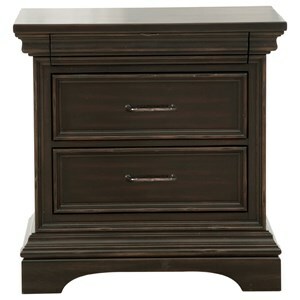 The Jackson Lake Traditional 1-Drawer and 2-Shelf Open Nightstand with USB Port by Pulaski Furniture at Colder's Furniture and Appliance in the Milwaukee, West Allis, Oak Creek, Delafield, Grafton, and Waukesha, WI area. Product availability may vary. Contact us for the most current availability on this product. 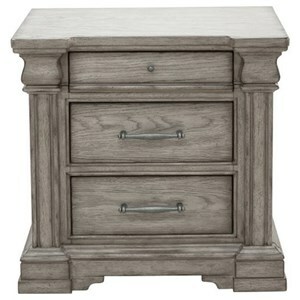 Drawer / Shelf Construction Dovetail Drawer Construction: Fine craftsmanship of English and French dovetail construction add stability for longer life. 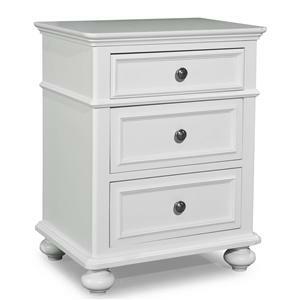 Drawer Suspension Drawers features ball bearing side drawer guides to provide years of quiet, smooth service. Turn your bedroom into a timelessly stylish personal sanctuary with a selection from this handsome bedroom group. 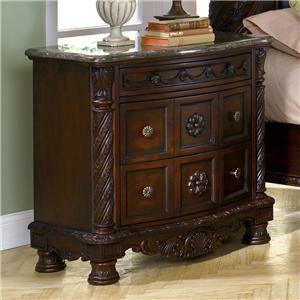 The Jackson Lake collection is a great option if you are looking for Traditional furniture in the Milwaukee, West Allis, Oak Creek, Delafield, Grafton, and Waukesha, WI area. Browse other items in the Jackson Lake collection from Colder's Furniture and Appliance in the Milwaukee, West Allis, Oak Creek, Delafield, Grafton, and Waukesha, WI area.